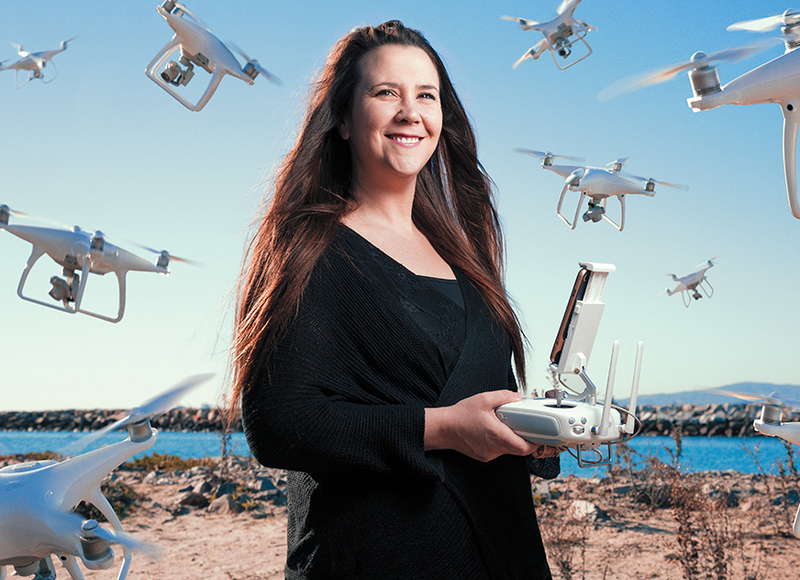 Garden Grove Resident Sarah Oneal of "That Drone Show" on why "Drones are good"
Garden Grove resident Sarah Oneal, originally from England, is one of many O.C. hobbyists who flies unmanned aircraft, or drones, for fun. Along with her husband, David, Oneal hosts YouTube’s “That Drone Show” (boasting more than a million views), organizes local events such as drone races, and hopes to spread the message that “drones are good.” To that end, the Oneals have even produced a documentary, “The Drone Invasion,” available to watch on Amazon Video. Why is your motto “drones are good”? We noticed there was a lot of negative stuff in the news about drones—Drone Lands on White House Lawn, that sort of thing. We wanted to highlight all the really great things they’re used for. Search and rescue, water conservation, agriculture, filmmaking, and photography. It has started to get big in the past year or two. People fly small drones through a racecourse while wearing first-person view goggles. We’ve held them before at Irvine Lake. There are often cash prizes. David’s background is in film and TV, and we wanted to show the good that drones do. We raised $5,000 on Kickstarter, and it premiered in September at the Downtown Film Festival in L.A.
Tell us about International Drone Day. We started it to encourage people worldwide to host free local events with classes, flying, racing, and building. About 80,000 people participated last year. This May will be the third year.